Pulmonary fibrosis (lung fibrosis) is a scarring of the lungs which may be due to many causes. It is categorized as part of a group of lung diseases known as interstitial lung disease. People with pulmonary fibrosis typically have symptoms of progressive shortness of breath. The treatment and prognosis of pulmonary fibrosis can vary depending upon the cause, but in general, there is no cure for pulmonary fibrosis. The symptoms of pulmonary fibrosis may be subtle at first, and the condition isn't usually readily apparent unless a person has one of the more common causes. The first symptom is usually shortness of breath, and first it may only be noticed with exercise. Over time, difficulty breathing can progress so that it's present at rest as well. Idiopathic pulmonary fibrosis is a condition in which lung fibrosis develops and progresses without any known cause. (The term idiopathic means unknown.) when no definite cause can be found for fibrosis in the lungs. Until recently, there was no specific treatment for this disease. A number of infectious diseases, especially viral infections, can lead to pulmonary fibrosis. In this case, the infection causes inflammation which eventually heals with scarring. There are a number of exposures, particularly occupational exposures that may lead to pulmonary fibrosis. Examples include exposures to asbestos and silica dust. Allergies, like infections, can lead to inflammation and subsequent scarring. There are a few medications that have been linked to pulmonary fibrosis. One is the chemotherapy drug Cytoxan (cyclophosphamide), a drug often used with early stage breast cancer. The drug Macrodantin (nitrofurantoin) used for bladder infections may sometimes cause pulmonary fibrosis as well. Pneumoconioses such as black lung disease were once a common cause of pulmonary fibrosis, and a recent resurgence in black lung disease with rapidly progressive fibrosis has been seen. Radiation therapy for lung cancer, breast cancer, or lymphomas may lead to pulmonary fibrosis. Lung fibrosis usually begins with radiation pneumonitis an inflammation of the lungs due to radiation therapy. If radiation pneumonitis is not diagnosed, or treated, permanent radiation fibrosis can be a result. Researchers are looking at ways to help prevent this side effect of radiation therapy for cancer. It's important to note that pulmonary fibrosis may develop years to decades after radiation treatments are completed, so those who have had chest radiation and develop shortness of breath, even mild and only with exercise, should contact their doctor. Longstanding gastrointestinal reflux disease (GERD) may be a risk factor for lung fibrosis. Pulmonary fibrosis appears to run in families, suggesting that some people are more likely to develop fibrosis as a result of other causes. The diagnosis of pulmonary fibrosis is usually made with a combination of a chest X-ray and chest CT scan, though the diagnosis often includes tests to rule out other conditions, such as pulmonary function tests, arterial blood gases, and/or a lung biopsy. The treatment of pulmonary fibrosis depends on the cause, the severity, and more. The first step is to address the underlying cause, if it is known. If a condition such as GERD is ongoing or there is a continued exposure, the most important thing is to stop the cause. Since pulmonary fibrosis is scarring, and by definition irreversible, the primary goal is to protect the lungs from further injury and to improve symptoms and help people cope with the disease. Quitting smoking for those who smoke. Paying attention to outdoor or indoor air. People can follow the outdoor pollution index and stay inside with air conditioning if outdoor air is poor. Indoors, avoiding wood burning stoves and wood burning fireplaces is important. Being careful with products used in the house and garage and using good ventilation is a must. Check for occupational exposures. There are many occupational exposures that could be harmful for the lungs. People should check the Material Data Safety Sheets for any chemicals they work with (and these sheets must be provided by employers). Staying immunized. Getting your flu shots and pneumonia shots is one of the easiest ways to protect your lungs. Recently, treatment has become available specifically for people with idiopathic pulmonary fibrosis. For other people, medications that help prevent further inflammation may be needed. 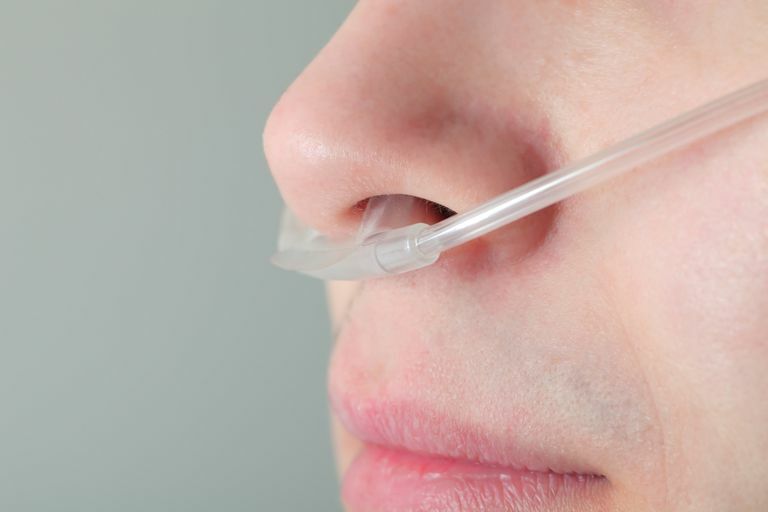 Oxygen therapy may be needed when oxygen levels fall below acceptable levels, and it's thought that using oxygen when needed may improve survival. Just as rehabilitation is helpful after a hip replacement or heart attack, pulmonary rehabilitation can be very helpful for people living with pulmonary fibrosis. Lung therapists can work with people to strengthen muscles involved in breathing, teach techniques such as pursed lip breathing, and much more. For some people, a lung transplant is a potential option, and at the current time, pulmonary fibrosis is the leading reason for lung transplants in the United States. The prognosis of pulmonary fibrosis also depends on the particular cause. In general, the life expectancy for someone with idiopathic pulmonary fibrosis is between three and five years, but this is changing with recently approved medications. The prognosis of pulmonary fibrosis related to different causes can vary significantly between different people. It can be frightening to learn you have pulmonary fibrosis and that it is not (at least at the current time) reversible. Even moreso if you learn about lung transplants being required by some. Yet many people have only mild lung fibrosis that may never hinder their lifestyle. Since pulmonary fibrosis isn't discussed as much as many health conditions, it can be very helpful to learn what you can. Not only can being your own advocate help you feel more in control of your disease, but in some cases, it can even improve outcomes. American Lung Association. Pulmonary Fibrosis. National Library of Medicine. MedlinePlus. Pulmonary Fibrosis.